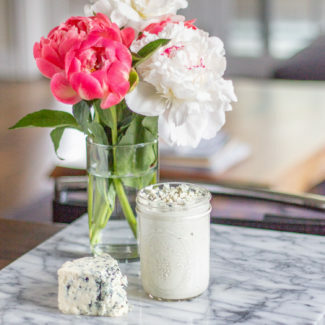 I made it my mission to come up with the very best ranch dressing recipe, and today I am sharing it with you. It is bursting with fresh herbaceous zesty flavor. It is creamy without being too heavy, and it has that authentic ranch taste. 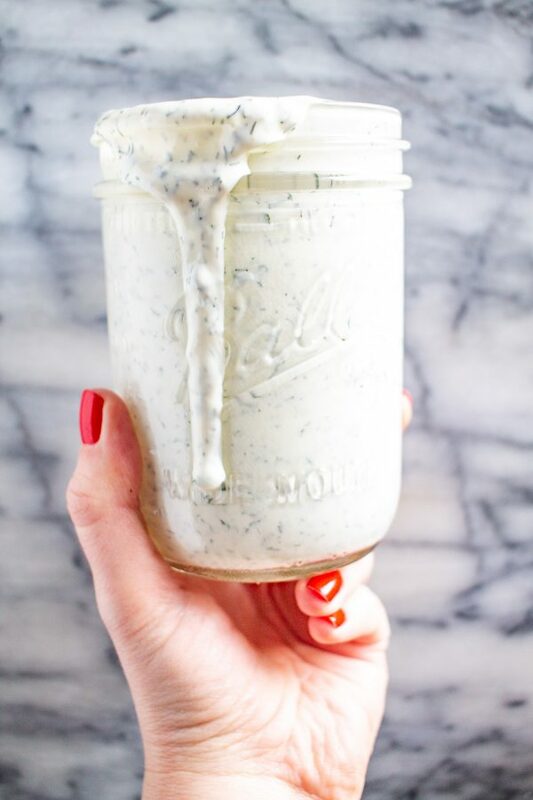 This ranch dressing is so good that you might be searching your home for things to dip in it… or just eating spoonfuls from the jar. Something happens when you move to the Midwest – you become obsessed with ranch dressing. 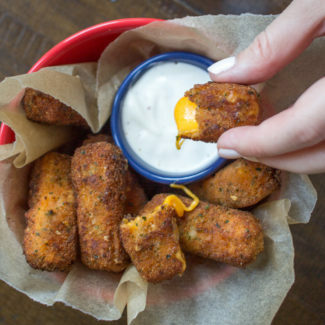 We put it on salads, we put it on pizza, and we dip fried cheese curds in it. My love of ranch has grown since I have moved to Chicago. 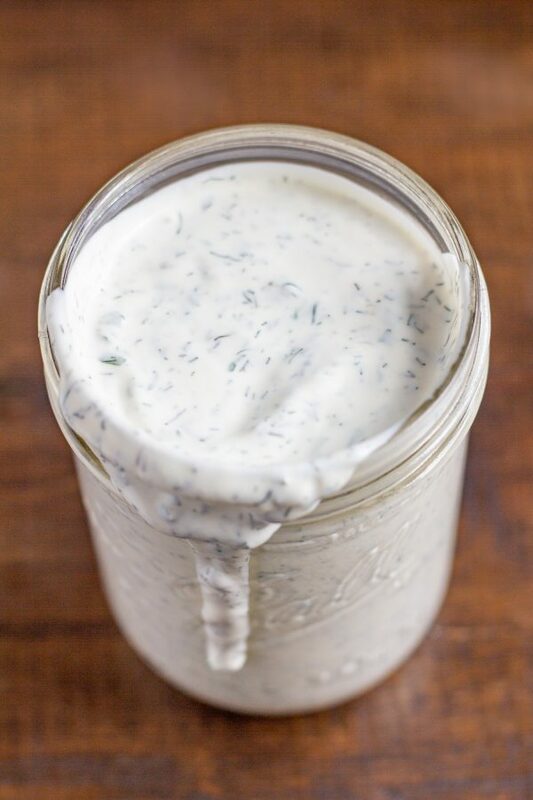 It turns out that ranch dressing only takes 5 minutes to prepare from scratch, and it tastes way better than dressing made with those seasoning packets that I used to be obsessed with! There are a couple things to note. You want to use a high quality mayonnaise, and I recommend against using a low fat mayonnaise. The same goes for the sour cream – you want the real thick stuff. 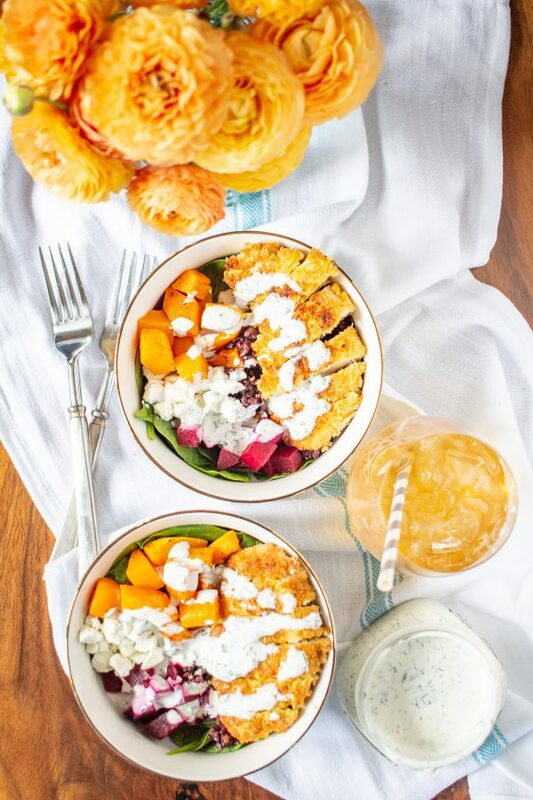 Don’t worry, I do add some Greek yogurt ranch dressing to make things a little healthier. I added just enough Greek to cut out some fat and calories, without you being able to taste it. This ranch dressing tastes like an authentic ranch dressing, not a yogurt dressing. The other really important thing is that you want to use fresh parsley, chives, and garlic. Dried parsley just doesn’t taste like much, the same goes for chives. I like to use a combination of fresh garlic and garlic powder since I think they each have their own distinct taste. 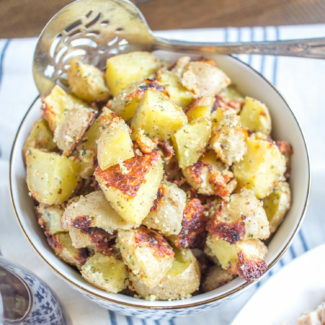 You could opt to add roasted garlic to the dressing to make a roasted garlic ranch, which would be amazing. (click here for the recipe for my delicious superfood salad with crispy chicken which is pictured above). When I was researching ranch dressing I learned that there are very differing opinions regarding how much dill belongs in a ranch dressing. I used a medium amount of dill, and you can opt to add more if you like. Some recipes had as little as a teaspoon while other called for 2 tablespoons. I added 1 tablespoon and thought it was just the right amount. 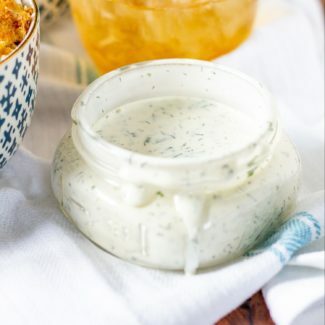 If you want to serve this dressing as a dip, just add less buttermilk! I recommend adding the buttermilk last, and making the dressing as thick or as thin as you like it. The dressing may thicken a little while it sits in the fridge, and you might want to add a little more buttermilk and stir it in before serving. This dressing can be kept in the fridge for up to a week, but you will probably eat it all before then. A full batch is shown in the images, it is just enough to fill a 16 ounce mason jar. 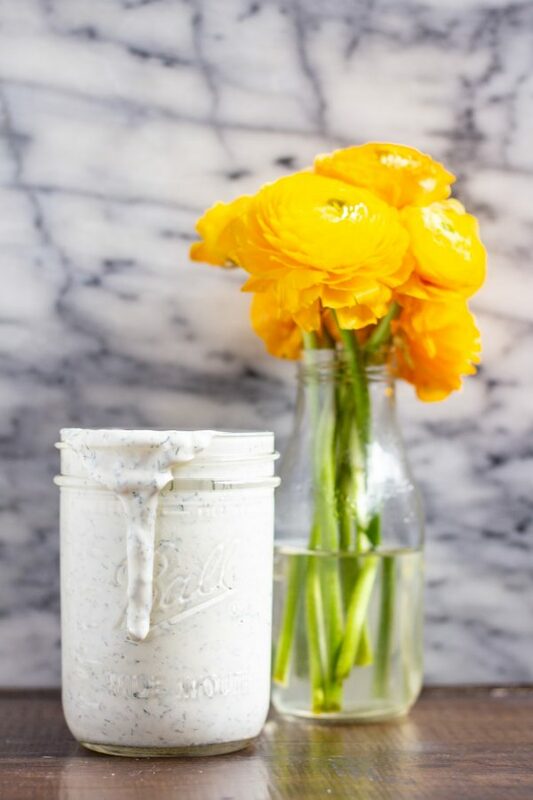 This is the very best ranch dressing. It is bursting with fresh herbaceous zesty flavor. 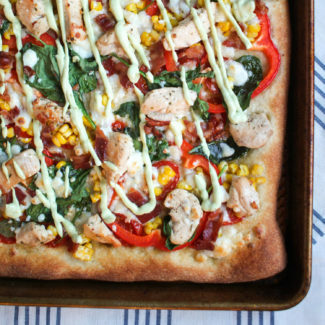 It is creamy without being too heavy, and it has that authentic ranch taste. 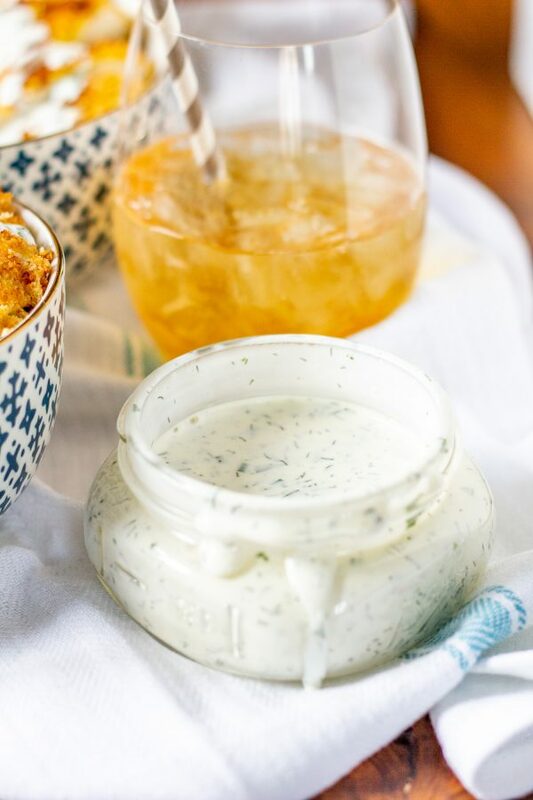 This ranch dressing is so good that you might be searching your home for things to dip in it... or just eating spoonfuls from the jar. 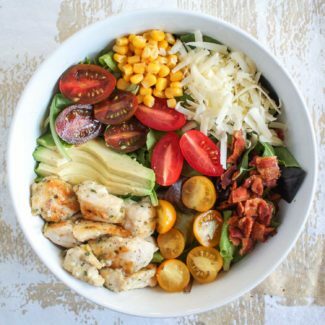 It turns out that ranch dressing only takes 5 minutes to prepare from scratch, and it tastes way better than dressing made with those seasoning packets that I used to be obsessed with! First you want to run the garlic through a garlic press. Then place it in a bowl, and mash it with a fork to really break it up. You don't want the dressing to have chunky garlic. Then add the all of the ingredients, except the buttermilk. Whisk together. Then add buttermilk until the dressing has reached the thickness you like. You can opt to add more garlic or dill to taste. When I was researching ranch dressing I learned that there are very differing opinions regarding how much dill belongs in a ranch dressing. I used a medium amount of dill, and you can opt to add more if you like. Some recipes had as little as a teaspoon while other called for 2 tablespoons. I added 1 tablespoon and thought it was just the right amount. 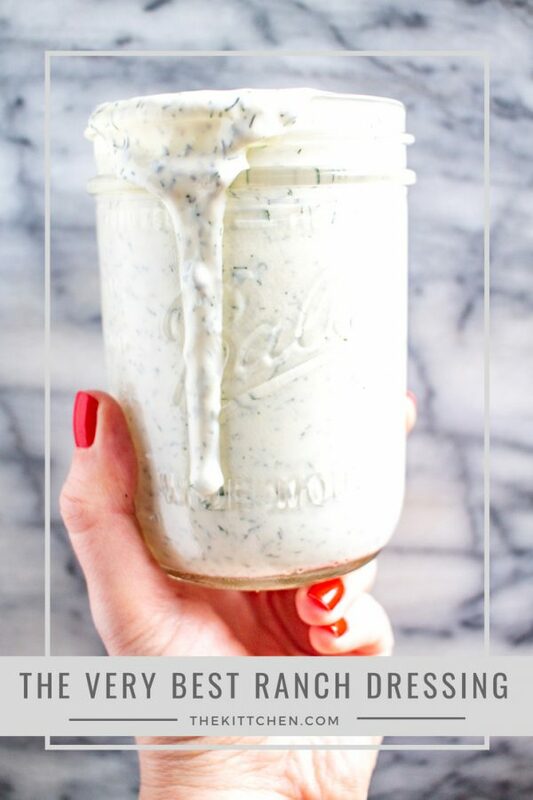 If you want to serve this dressing as a dip, just add less buttermilk! I recommend adding the buttermilk last, and making the dressing as thick or as thin as you like it. The dressing may thicken a little while it sits in the fridge, and you might want to add a little more buttermilk and stir it in before serving. This dressing can be kept in the fridge for up to a week, but you will probably eat it all before then. 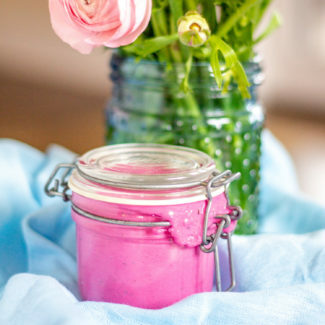 A full batch is shown in the images, it is just enough to fill a 16 ounce mason jar.